Meet a master for teaching kids with autism…Dr. 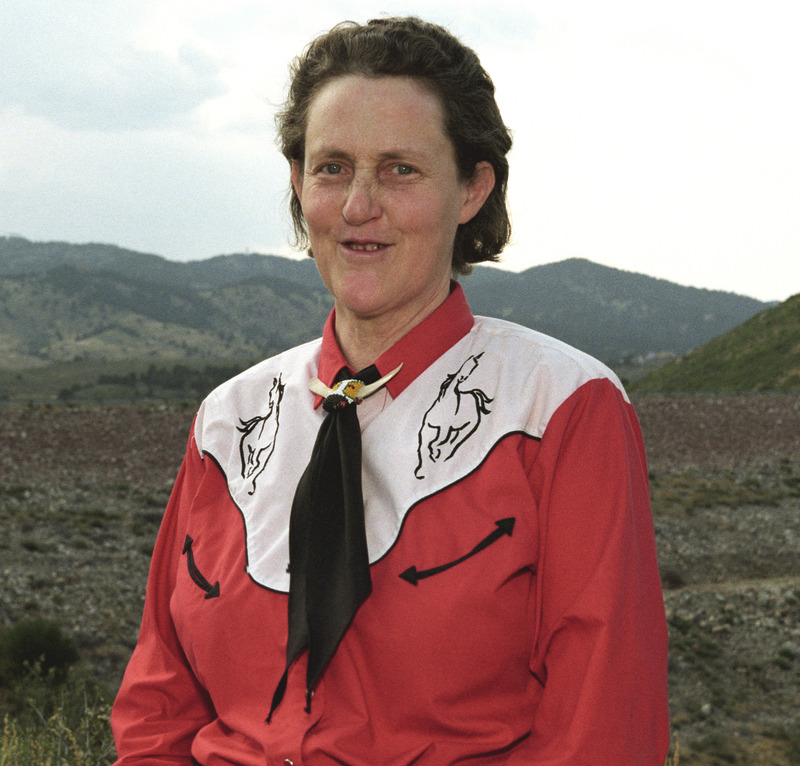 Temple Grandin. Temple, as she likes to be called, is shown in my blog pic below. She has a last name with a first syllable that aptly describes her impact on hundreds of thousands of families worldwide…GRAND. …straight from an interview I was honored to have with Temple. Some members of the educational and autism communities will have the benefit of hearing Temple speak in person at an upcoming conference in Chapel Hill, North Carolina (US) on September 14. Chapel Hill is home to one of a number of TEACCH (Treatment and Education of Autistic Children) centers that specialize in helping children and families affected by autism. The conference is being coordinated by Future Horizons, Inc., based in Arlington, Texas (US). Their name is also fitting for teachers who participate in their programs. Think of the impact that effective teachers make on children’s futures, including, and maybe especially, children with special needs, like autism. Temple will be one of two celebrated speakers; the other: Jed Baker, PhD. The HBO movie about Temple’s life won 7 Emmy Awards! Jed Baker has been featured on Nightline and 20/20, two well-known television programs in the US. His focus is on teaching ways to improve social behavior and understanding in children with autism. Temple’s themes revolve around the nuts and bolts of recognizing that “different is not less;” that educators need to embrace strategies that direct children (with autism) to vocations where their skills will help them shine. Look at Temple’s face in her blog pic here. The wisdom that radiates from her eyes grabs your attention! You can hear wisdom in her voice as she focuses on helping teachers like us develop children’s areas of strength. The description of Temple’s background and a summary of her upcoming presentation in Chapel Hill offer a template for teachers to follow as a new school year gets underway in many parts of the world. Future Horizons and others who have worked with Temple call her an inspiration. It’s fascinating to learn about the challenges that she faced as a child and young adult. Her recommendations for helping others deal with autism are no-nonsense ideas based on her personal experience and evidence-based research – all pointed at overcoming obstacles. Make a note of Temple’s conference topics. (I’ve elaborated on them slightly, based on my own experience.) Use the list below to help you assess needs if you’re teaching children with autism this year. ♦ Think/learn about ways to modify your students’ learning environment to accommodate sensory challenges. ♦ Discover how to recognize and accommodate neurological differences in your classroom setting. ♦ Share information you have/learn about meeting the needs of children with autism (in appropriate, tactful ways) with their parents. ♦ Learn to distinguish between voluntary and involuntary behaviors in students with autism and asperger’s (a form of autism). ♦ Explore ways to enhance your current best practices to help kids (with autism) develop their talents into the beginning of a career path. Here’s some good news…if Temple’s suggested “TO DO” list seems a bit overwhelming, she’s written extensively about every topic on the list. Loads of other research is available also, online, in libraries and bookstores. Check out Temple’s book Different…Not Less. 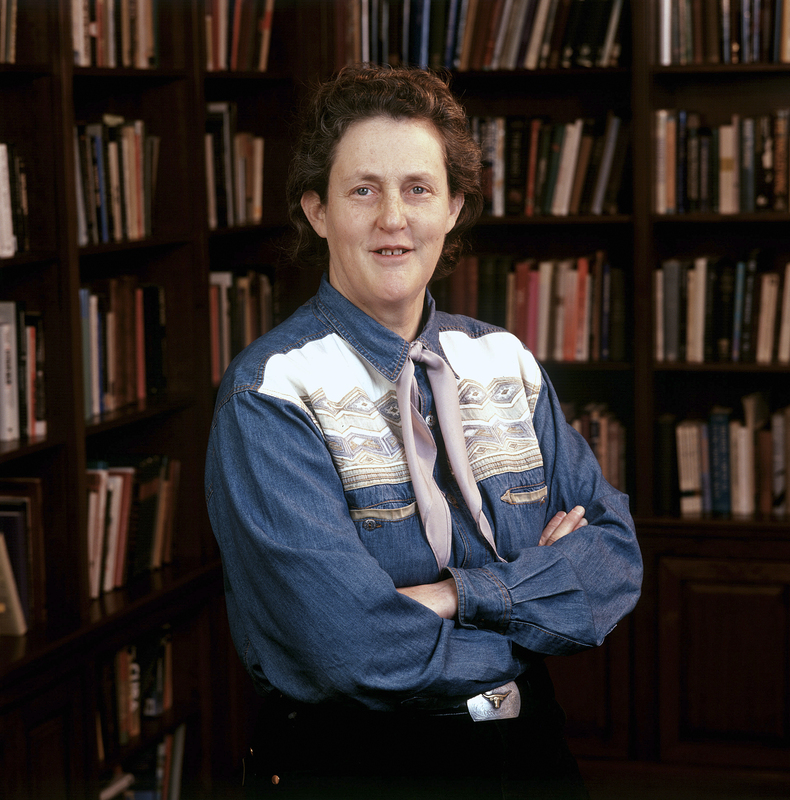 Google Temple Grandin for more information on her publications, work and life. Funding issues today, of course, impact schools everywhere, meaning that small class instruction isn’t always an option. Temple’s “advice” to teachers in any class size anywhere still holds: teach to individual strengths! Temple’s aunt, Ann Brecheen, was another star in Temple’s early years. “If I hadn’t gone to my aunt’s ranch,” Temple states, “I wouldn’t have started working with animals.” Animal science and care are passions that drive Temple to this day. She’s devised humane animal treatment methods related to the meat industry where she’s employed. Temple is concerned that in America (at least) we’ve lost sight of maintaining infrastructures. “We need to get back to practical problem solving. What kids can learn in sewing is the same as in carpentry. One material’s stiff, the other’s soft.” What poetry! What’s the connection with crafting and communicating with children with autism? Temple’s point…and she expresses this in many ways…children with autism are different, not less. We as teachers need to find ways to get kids excited about more than video games if they don’t relate well to people. One way to do that is to invite them to make things. Temple makes time spent with her an amazing learning experience of its own. Teachers might serve children with special needs (even) better by paying more attention to the way Temple sees the world and shares her views.